Have you been coloring during October? I’m joining in when I can, but it’s not as much as I would like. I’ve even spent some evenings coloring, but I haven’t found the time to post my pictures. And it’s hard to get a good picture after dark. Sigh. Even on a completed card!! 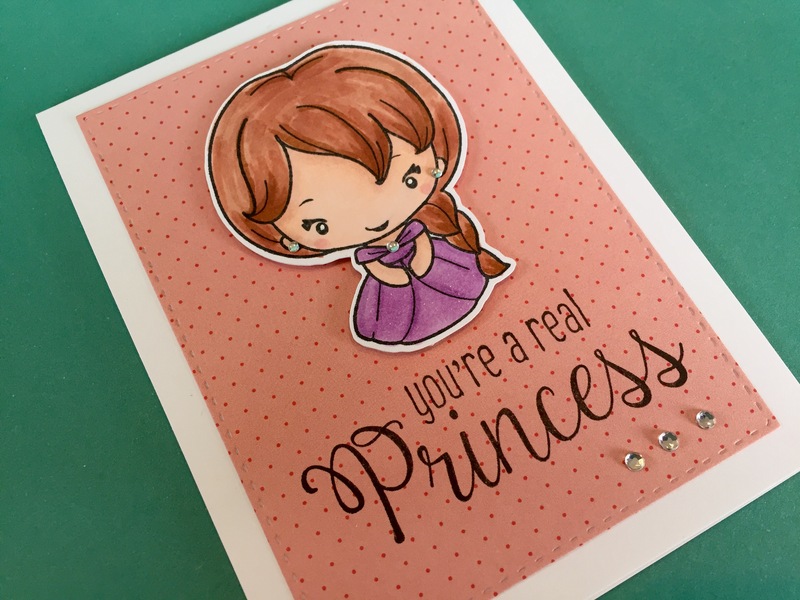 The little princesses from The Greeting Farm Ever After set are so cute and fun to color. 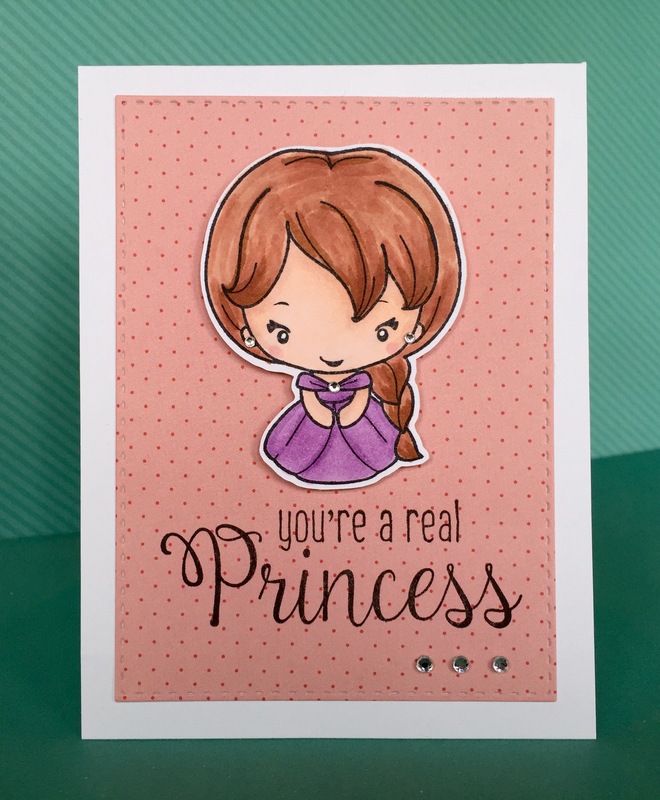 And perfect for a real princess’s birthday. Yup! I’ve been coloring. Unlike you, most of my stuff has not made it onto a card yet. Your princess is precious, your coloring is fabulous and I think I have some paper like that. Great job!